4K UHD is four times as many pixels as Full HD*. This is a huge difference, and it shows! Licence plates can be made out more clearly and from further away. This aftermarket Dash Cam is highly recommended by CBS Automotive as it’s amazing image quality and special feature make it one of a kind. 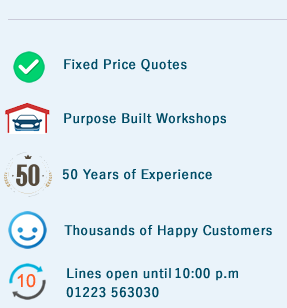 Our professional installation team can have it fitted in just one day so if you’re from Cambridge, Ely, Newmarket, Camborne, St. Ives or surrounding areas CBS Automotive are the installation team you need to call. The front camera’s ultra-wide 162-degree angle take4s full advantage of the 4K UHD resolution. 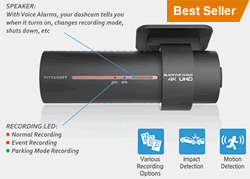 BlackVue captures critical details while driving or in parking mode. Includes free Over the Could add-on service so you can check on your car from anywhere, anytime. The dual-band 2.4 5GHz Wi-Fi lets you download dashcam footage to a smartphone at blazing speed and allows Over the Cloud functionalities via any Internet enabled Wi-Fi network. Video files are marked accordingly so that you can easily find the relevant ones in the BlackVue Viewer for Windows and Mac OS for the BlackVue App for Android and IOS. 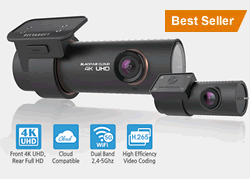 If you’re looking for an aftermarket 4K Ultra HD Dash Cam, give CBS Automotive a call on 01223563030, email us at sales@select-cbs.co.uk or come and see us at our bespoke showroom in Cambridgeshire.